Finding a hotel or rental home is usually about where you're going. You're headed to San Francisco to visit friends, so you look for a hotel in the area. The road less traveled -- outside of Disney World or Las Vegas -- is to find a ridiculously awesome place to stay and make that the destination. 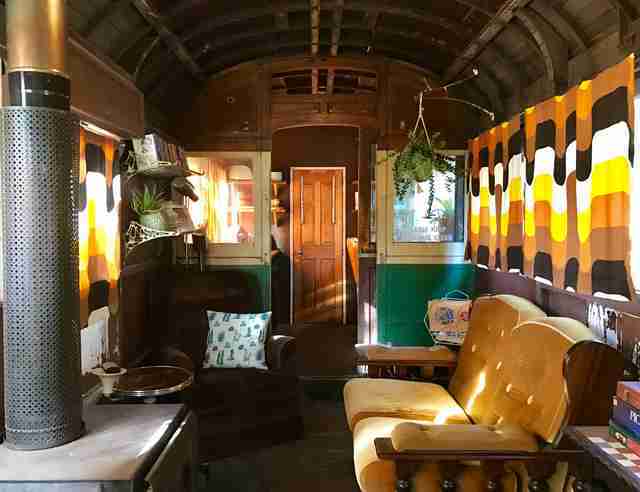 Airbnb has shared a collection of homes that will make fans of the brightly colored world of Wes Anderson swoon. The homes are aesthetically-pleasing destinations that could be your own personal Grand Budapest Hotel. Whether it's the feel of the home or, occasionally, literally having a Wes Anderson-themed home, these wildly decorated home-ages to films like The Darjeeling Limited will not make you say, "Well, I just want to die." 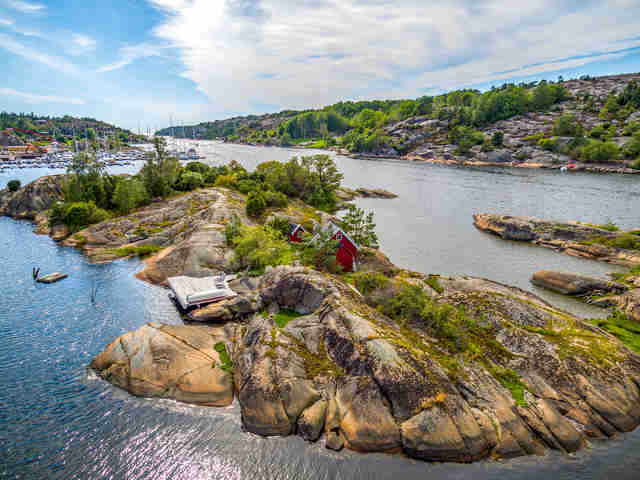 This tiny cottage on a private island is surprisingly spacious inside. 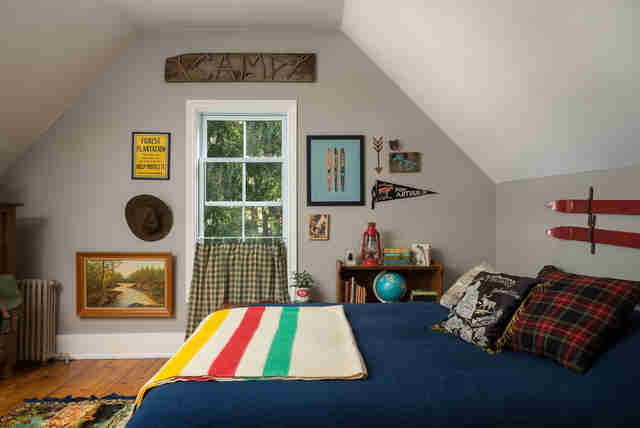 It evokes the tiny dwellings of Captain Sharp (Bruce Willis) or Scout Master Ward (Edward Norton) in Moonrise Kingdom. So, you know, work on your semaphore. 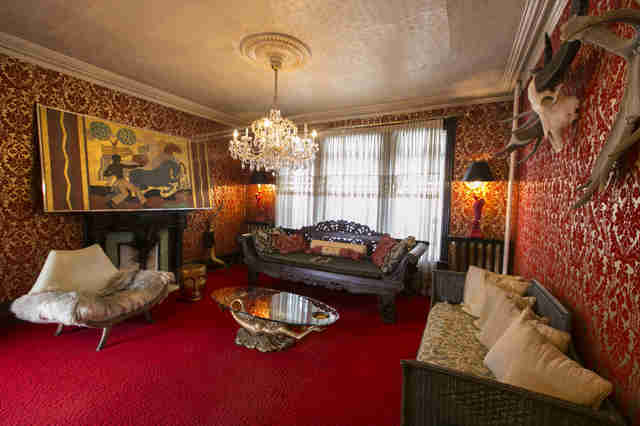 This rental is lovingly called "Mr. Anderson's House," with every room themed after one of his films. From the portrait of Steve Zissou in the living room to a Margot Tenenbaum-style fur coat on a mannequin, the host makes good on the home's description, which starts, "I always wanted to be a Tenenbaum." Among other artifacts, the house features portraits of Mordecai and Suzy from Moonrise Kings (Kara Hayward), and a Richie Tenenbaum-esque tennis racquet mounted in a hallway. 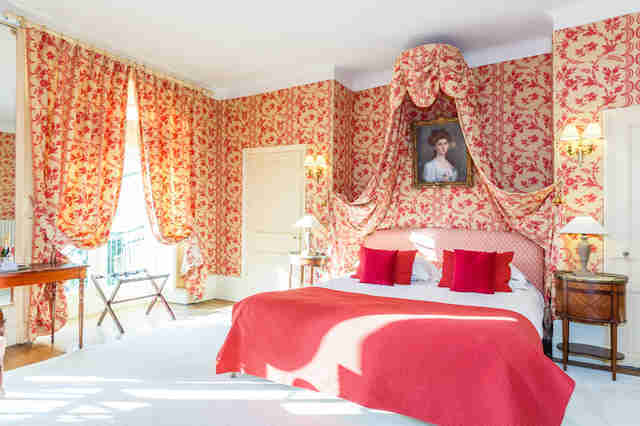 Here, you're renting a room called the "Wes Anderson Room" in Darling Mansion. The room doesn't quite look like it's out of a specific film, but it carries Anderson's aesthetic. In fact, most of the house does. The living room looks like it could be the gathering space in Eli Cash's new home. 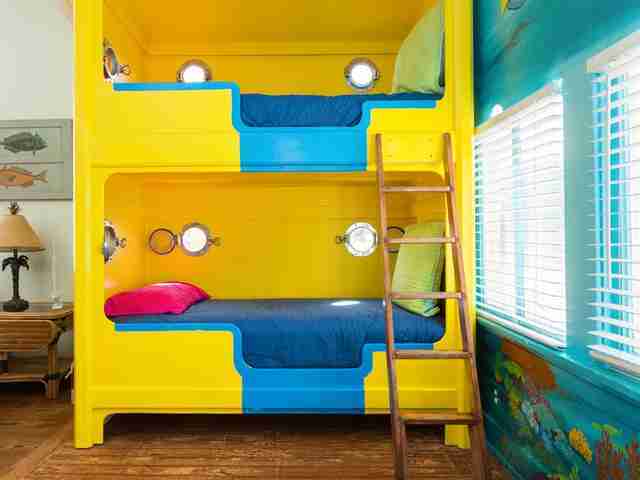 The nautically-themed duplex sits near a beach in Galveston. The home will get you in a Calypso kind of mood, then you can set up shop on the beach and look for a crayon ponyfish of your very own. This private family chateau is huge. It looks like an amalgamation of The Grand Budapest Hotel and the interior feel of The Royal Tenenbaums. You're definitely living it up in this rental. This wild house, which is just as pink on the outside as it is on the inside, has the saturated color palette of Anderson's "Hotel Chevalier" short film, a prologue to The Darjeeling Limited. Somehow, the room pictured above might be the least intense of the house's many rooms. 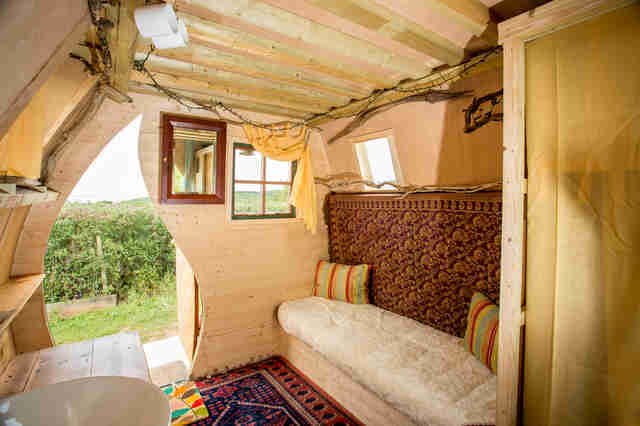 This unique house in Cornwall looks like a surprisingly ornate camp straight out of Moonrise Kingdom. You can see the exterior of the house in the image at the top of the listing. It's a strange, striking place. Now that the service has launched split payments, it ought to be even easier to convince friends to go to Toronto because there's a themed room you want to stay in. Or, maybe, a Game of Thrones-themed vacation is more your thing. Either way, travel weird.